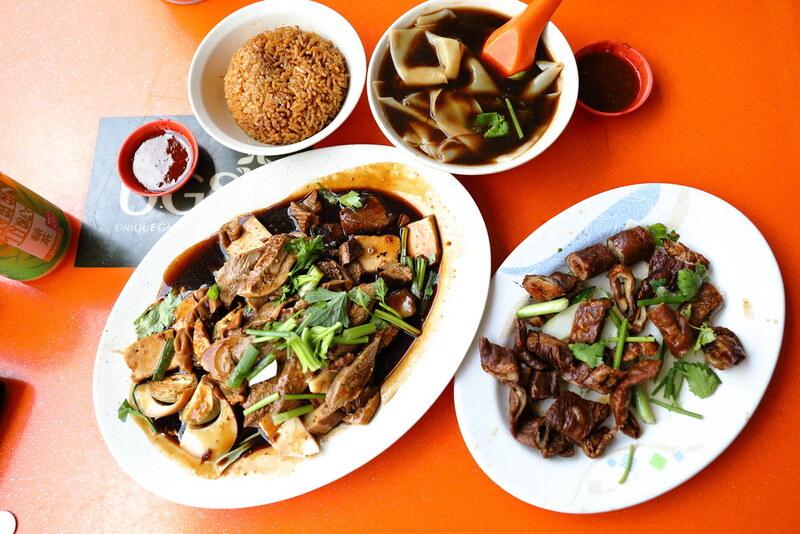 Many foodies should be familiar with Quan Lai Kway Chap at Macpherson Road. 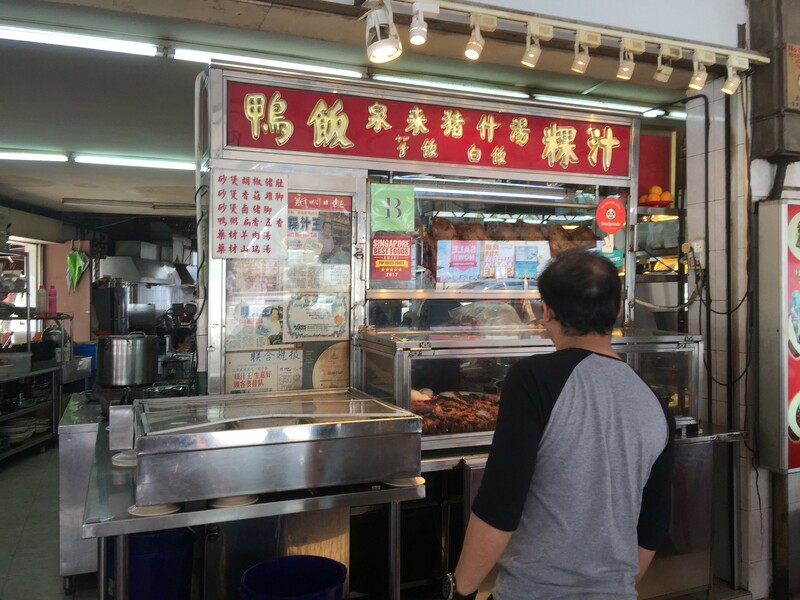 When I was staying in Hougang, it is one of the supper places I would visit. After moving to the West, I have not eaten there for a long time. Since I was in the area on a Saturday, I decided to drop by for lunch. I ordered a braised platter for 2 pax, a bowl of yam rice, a bowl of kway and a plate of fried large intestines. The whole meal comes to $25.80. Do you think it is expensive? I asked the question because Quan Lai is also known to many as one of the most expensive place to have kway chap. My braised platter for 2 pax consists of Braised Duck Meat, Tau Pok, Fish Cake, Intestine, Tofu, Braised Pork Belly and Braised Egg. The duck meat is a bit dry but what I like is the richness of the braised sauce whereby I can taste the different herbals and spices used. 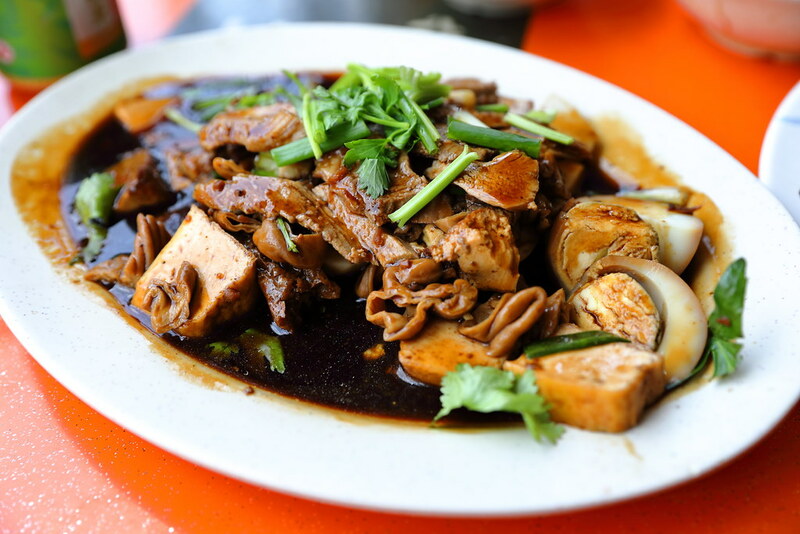 In addition, the braised ingredients have also been cooked until they have absorbed the delectable flavours. Most places just cooked the rice sheet separately and add the broth onto it, hence the rice sheet tasted rather bland without absorbing the flavoursome broth. 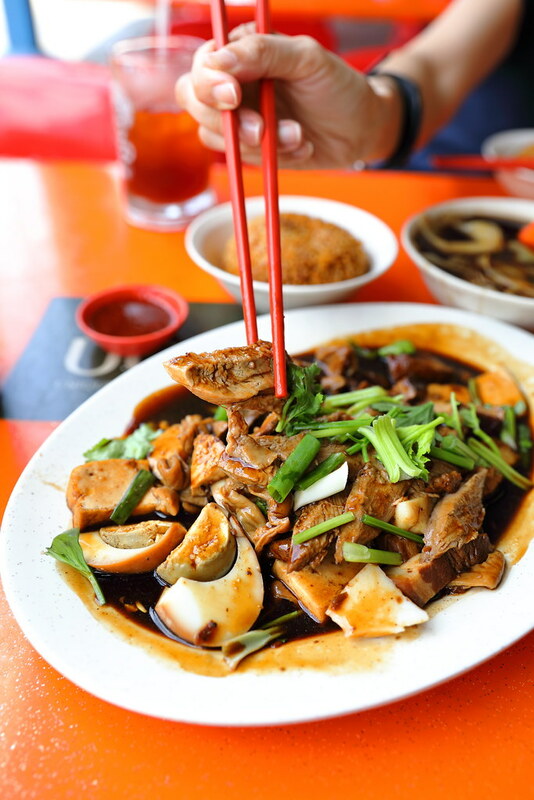 At Quan Lai, I suspect the kway has been cooked together with the thick and gooey broth, allowing the thick rice sheet to absorb the flavour. 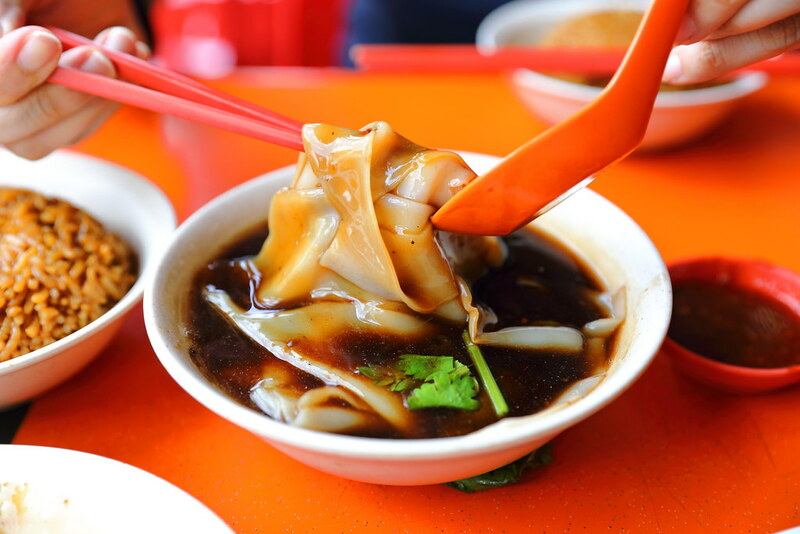 I am glad that the kway doesn't taste bland, instead soaking up the delicious broth for an enjoyable bite. 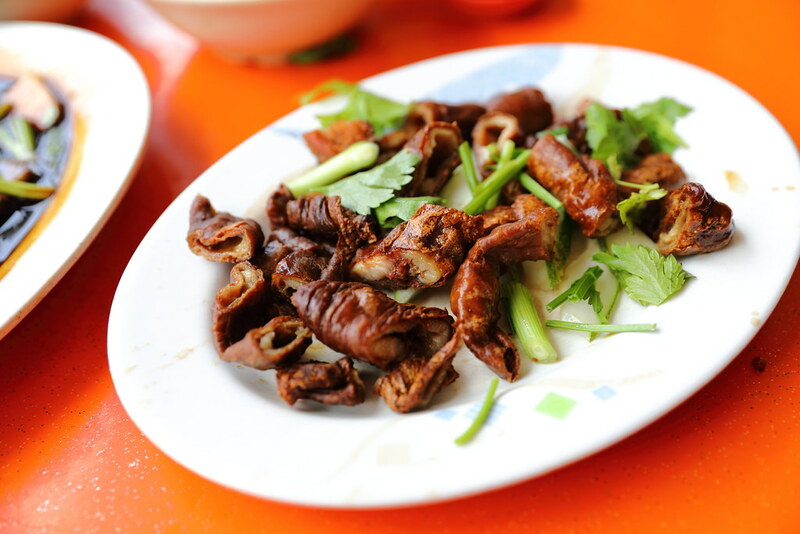 Another item I enjoyed is the Fried Large Intestine. It is fried to a nice crispy exterior while the interior is still a bit chewy. It also does not have the gamey taste. I actually find it very addictive. I have read reviews that the standard of the kway chap has dropped over the years, especially after the son took over. I have not eaten at Quan Lai for a long while and I have a short memory to compare what it used to me. What I know is that I have a satisfied experience and I have enjoyed my lunch here.